(CNN) - It's down to the final two. 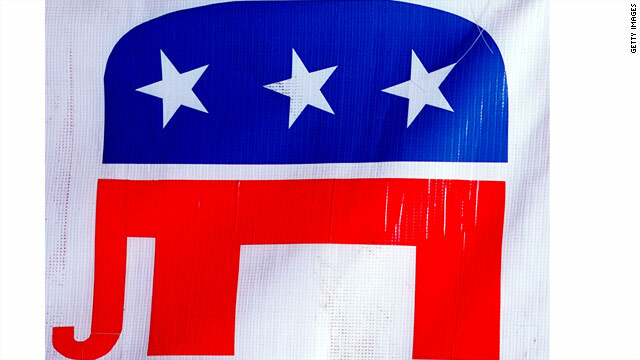 The Republican National Committee announced Wednesday that Cleveland and Dallas are the finalists to host the 2016 Republican National Convention. Following a meeting of the RNC's Site Selection Committee, the two other cities that had been in contention, Denver and Kansas City, were dropped. "Cleveland and Dallas demonstrated their ability to host a phenomenal convention in 2016, and the RNC is excited about the prospect of hosting our convention in either of these great cities. After visiting both cities, I can say to my fellow Republicans that we should be excited for the 2016 convention. These world class cities know how to roll out the welcome mat, and more importantly they have the ability to provide our next presidential nominee a launching pad that will put a Republican in the White House in 2016," said selection committee chair Enid Mickelsen said in a statement. Phoenix, Las Vegas, Cincinnati, and Columbus, Ohio were previous dropped from contention. The RNC's expected to choose the host city by late summer or early fall. For a city, a convention is a costly affair as the host is expected to raise upwards of $60 million to help pay for it. But if managed correctly, a convention pays off as the surrounding communities are flooded with as many as 50,000 new visitors and the area is showcased on an international stage for weeks leading up to the event. In January the RNC approved a rule change that would move the date of the GOP convention from its usual time slot of late August or early September to as early as late June. Cleveland gives the Republicans a chance to hold their nominating convention in Ohio, a crucial battleground state. Dallas does not provide that option, as Texas has long been a reliable red state. Dallas last hosted a GOP convention in 1984, when President Ronald Reagan was nominated for a second term. The last time Cleveland had the honor of hosting a Republican convention: 1936. Six cities are bidding to host the 2016 Democratic National Committee. The six cities are Birmingham, Alabama, Cleveland, Columbus, New York City, Philadelphia and Phoenix. The Democratic National Committee says its Technical Advisory Committee will visit all six cities this summer. The DNC plans to have a final decision by late this year or early 2015. Dallas is the ideal location. When Texas secedes from the Union, the Republican Tea Party nominee can be its 1st president. I think Ohio is going blue thank mittens for that, I'm sure the hard working families can't wait to have the gop blow more smoke up their as.s. Detroit had the manufacturing industry outsourced, and that killed the town and rwnj keep clamouring on about it being a Democrat problem, that should be your first I'm clueless sign, but drink deep your gathering gloom. This goes beyond partisanship, both to blame. But the rwnj sincerely believe that there is not one single problem that they have responsibility in, not one, literally every problem is the dems fault, please, only an idiot would believe that BS, that'd be you Tommy, just asking. Maybe they should pick the Caymen Islands. That way they don't have to go far to get their donation funds. And I hear it's owned by one of their idols. Texas already has enough idiots without bringing more of them here. They should have the convention at Newt Gingrich's palace on the moon. Dallas – then Rick Perry can be in full-wacko mode. It is not unusual for a national convention to run over budget. For example the 2012 Democratic Convention was $15 million in the red. Ten million dollars of it was paid off by a contribution from Duke Energy. They may or may not have paid off the rest. Either place is going to be hot during the summer. Given some of the distain that GOP seems to have for blue collar working people, Cleveland might not be a good fit. There are plenty of conservatives there but more in Texas. I agree that Dallas is much better. Their residents are much better equipped for dealing with a lot of snakes. Cleveland. It be perfect for an Ohioan, Sen. Rob Portman to be the vice presidential pick for whoever will be the top GOP presidential nominee. @rs and Silence- I have just done a google search of other shootings with regards to people at the Bundy ranch and have came with lone incident involving the Millers who were told to leave. Where are the articles talking about additional shootings? Where are the snarky, vitriolic comments from the intolerant, liberal haters? Coming soon, I guess.